Exciting Mediterranean design on the Lake! 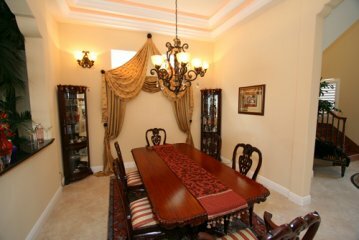 Beautifully designed home in a true Mediterranean village located in one of the most sought after locations. A community nestled behind a guarded gate, yet within walking distance to multiple upscale restaurants and shops. 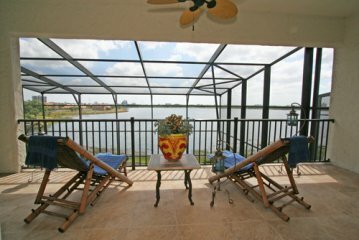 Enjoy the stunning panoramic view of Sand Lake and the city lights as they envelop the sky along with the nightly fireworks. Located in the prestigious community of Vizcaya, this stunning design is timeless and captures a spirit of casual elegance. 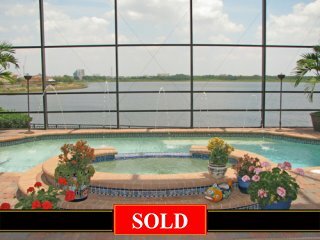 Enter through double doors into the magnificent foyer and experience a home that is perfect for lakefront living! Beautiful tiled Italian porcelain and wood floors flow graciously throughout the living areas and halls. 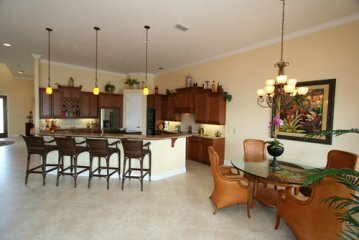 This open floor plan is perfect for entertaining with a 30’ kitchen overlooking the lake! 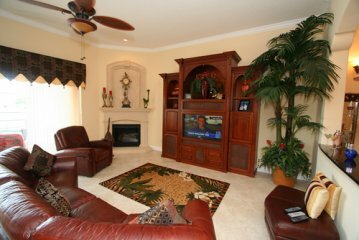 The 20’ family room is impressive with its custom entertainment center and surround sound! 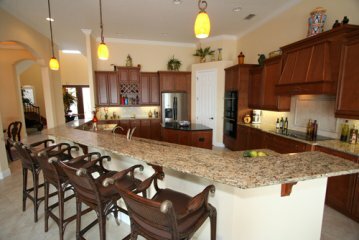 The kitchen features a 12 ½’ serving bar/snack bar which opens into the family room and is perfect for entertaining whether you are inside or out. You’ll enjoy watching the sunrise from the open terrace every morning as you sip your morning coffee while watching the dancing breezes. The Grand ascending hardwood staircase leads you to the 2nd floor where you will find 2 additional bedrooms, game room and the master bedroom with its very own private 33’ balcony overlooking the lake! 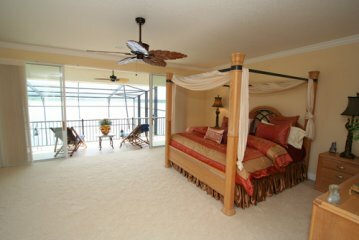 You will enjoy the comfort of the master bath which features twin vanities and an exquisite marble walk in shower. His and hers vanities are beautifully crafted in custom marble and the large master walk in closet is perfect for organizing with built in custom shelving! Best of all, there is a large game room/media room is equipped with surround sound suitable for anyone wanting to relax or just have fun! You will love the convenience of the laundry room upstairs! 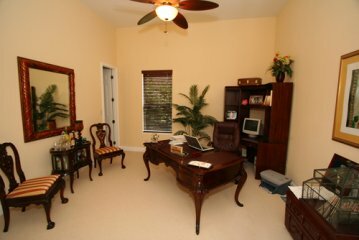 The handsome study is inviting with French doors and offers flexible use as it has a full bath and is conveniently located on the 1st floor. 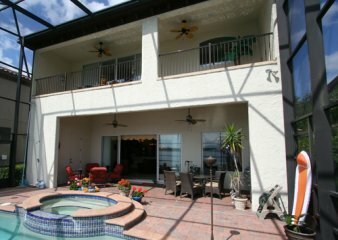 The spacious outdoor terrace offers a 22’ brick paved patio and entertaining area embraced by a 2-story screen enclosure. The gas grill is situated conveniently on the terrace for casual outdoor dining! 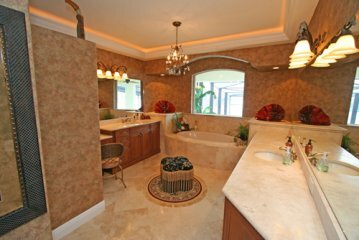 Enjoy the simplicities of life in this home as you relax in your very own luxurious heated spa that overflows into the pool! Private and Peaceful! 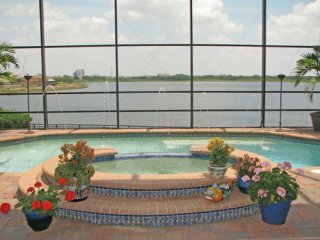 A home suited for relaxing, entertaining and living life amongst one of the most breathtaking views in Orlando with all the conveniences you’d ever want!